This project is part of my Masters Thesis for the MS in HCI program. I reasearched human driver-passenger interactions in current ride sharing services to design an autonomous ride sharing experience. 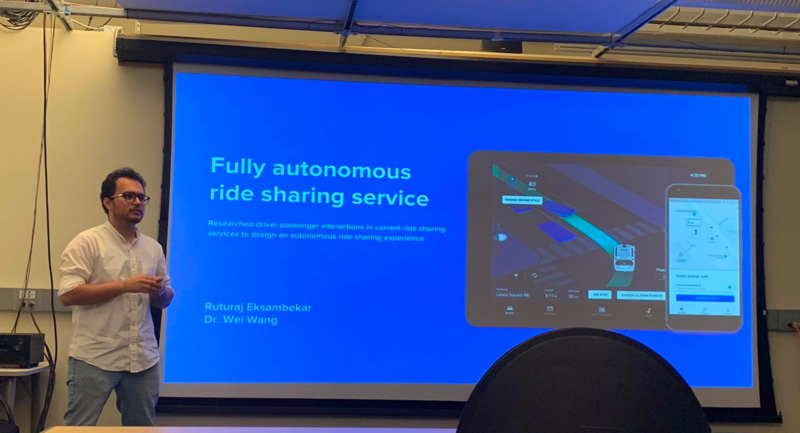 My focus was to understand what core values do these social interactions add to the overall experience and how can those values be translated into a driverless ride sharing service. Creating a self-driving experience was crucial to test out my designs and thus I used the AT&T driving simulator in my lab to re-create an experience which would be closer to a realistic one without putting the research participants life in danger. This project is in-progress and a detailed case-study will be added soon.